Baking is one of my many passions, I had to take a break from it because it wasn’t helping my waistline. I decided to start baking again, eating healthy is harder when most of he store bought breads are full of preservatives and excess sugars. I used to make breads and all sorts of desserts for my family and I noticed that we spent less money on baked goods when I did bake. So this weekend I baked three loaves of white bread for my kids. They take packed lunches to school and I love knowing what is in their lunches. 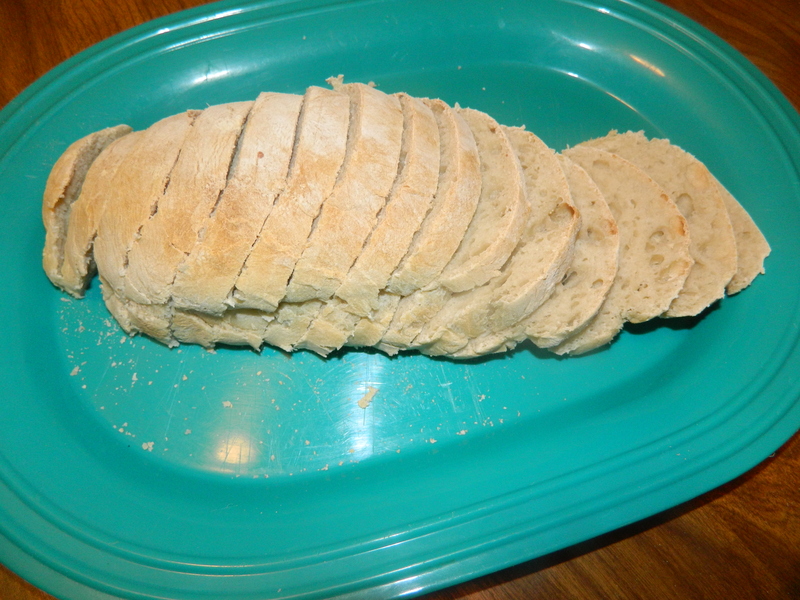 Below is the recipe and pictures of the loaves I made. 1.In a large bowl, dissolve the sugar in warm water, and then stir in yeast. Allow to proof until yeast resembles a creamy foam. 2.Mix salt and oil into the yeast. Mix in flour one cup at a time. Knead dough on a lightly floured surface until smooth. Place in a well oiled bowl, and turn dough to coat. Cover with a damp cloth. Allow to rise until doubled in bulk, about 1 hour. 3.Punch dough down. Knead for a few minutes, and divide in half. Shape into loaves, and place into two well oiled 9×5 inch loaf pans. Allow to rise for 30 minutes, or until dough has risen 1 inch above pans. 4.Bake at 350 degrees F (175 degrees C) for 30 minutes. * I kind of cheated with this because I have a bread machine and it does all the hard work. I had to use the bread machine because it freed up about 1 hour and 30 minutes for me to clean and start on the 5 loads of laundry I had to get done. 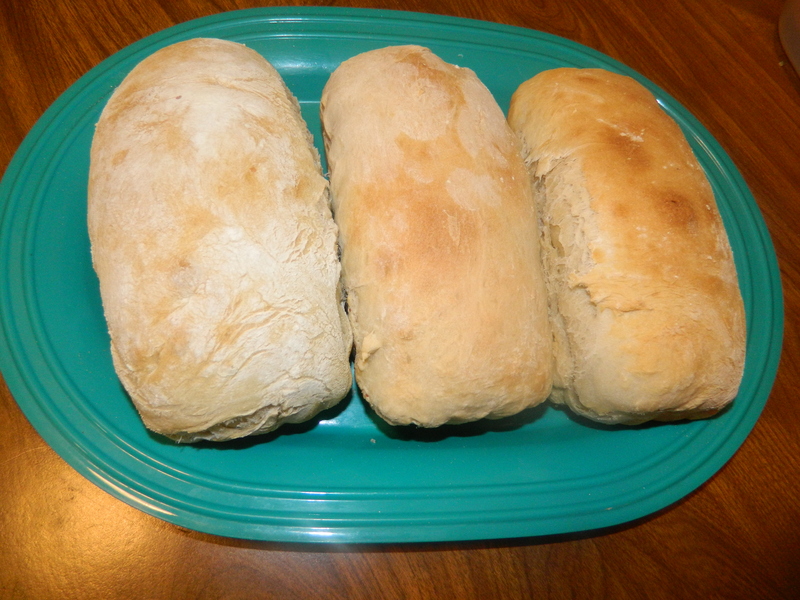 This recipe yielded 3 medium size loaves, I sliced up one and wrapped the other two and placed them in the freezer. I was also able to make some homemade orange juice yesterday. Yes, my Saturdays tend to be super busy. I really like the original recipe but I took out the sugar and used applesauce instead because I am really trying to cut back on the amount of sugar we eat. I would love to remove all process sugars one day but I am taking it one day at a time. Posted in Health/Fitness, Recipes and tagged active dry yeast, amish bread recipe, bread machine, healthy eating, sugarless recipes. Bookmark the permalink.